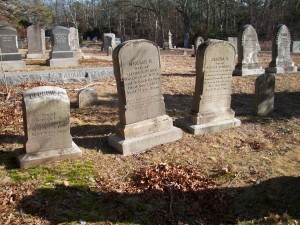 Born: July 12, 1842 in Sandwich Ma. Died: October 21, 1870 at 28 yrs, 3 mos. 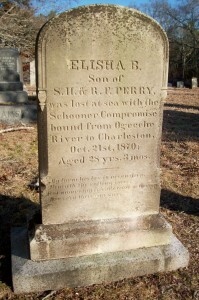 ; “Lost at sea” on the schooner “Compromise” off Georgia; Elisha’s brother, Lucius Perry, also died on the “Compromise“. Married: December 9, 1866 in Sandwich Ma.